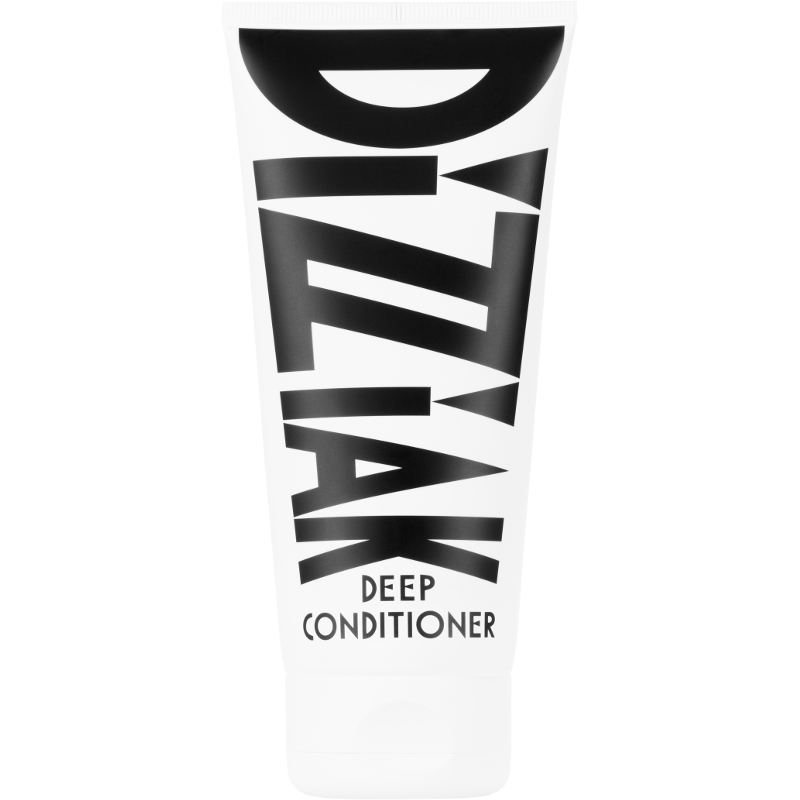 Massage Dizziak deep conditioner into clean, damp hair from root to tip. Leave on for just 5 short minutes or up to 30 minutes for a luxe mask experience. Rinse well with cool water. Use once or twice weekly for maximum effect. This rich, creamy concoction is the ultimate shine-enhancer, playing host to a hard-hitting assortment of naturally nourishing powerhouses to infuse the hair with an effective boost of lasting hydration. For luxurious moisture with lustrous results, look no further. No parabens. No sulphates. No silicones. No mineral oil. No cruelty. Vegan. Suitable for all hair textures. Full Ingredients List: Aqua (Water), Cetearyl Alcohol, Orbignya Oleifera Seed Oil, Behentrimonium Methosulphate, Cocos Nucifera (coconut) Oil, Argania Spinosa Kernal Oil, Plukenetia Volubilis Seed Oil, Butyrospermum Parkii (Shea) Butter, Quaternium-87, Ricinus Communis (Castor) Seed Oil, Parfum (Fragrance), Hydrolyzed Quinoa, Aloe Barbadensis Leaf Juice, Sodium PCA, Phenoxyethanol, Benzoic Acid, Dehydroacetic Acid, Ethylhexylglycerin, Benzyl Alcohol, Potassium Sorbate, Sodium Benzoate, Citric Acid, Citral, Eugenol, Geraniol, Limonene, Linalool. The scalp-friendly, pH balanced formula is packed with a blend of smart naturals that clean deep while infusing the hair and scalp with lasting moisturisation. Dizziak Hydration Wash delivers the ultimate cleanse by lifting grease and product build-up without compromising the hair. In place of synthetic foaming agents; sodium lauroyl methyl isethionate, derived from coconut, lathers up to give a satisfying cleanse – helping to invigorate the scalp for turbo growth. Post-wash hair feels just right: refreshed, smoothed, hydrated and oh so fragrant. No parabens. No sulphates. No silicones. No mineral oil. No cruelty. Vegan. Suitable for all hair textures.